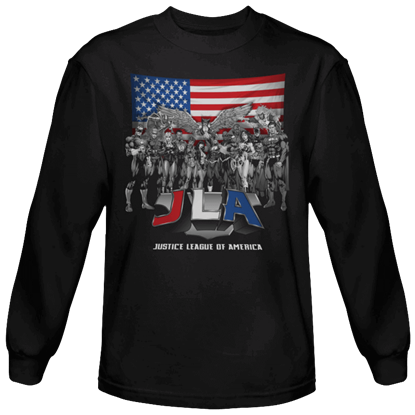 However briefly, Aquaman made his cinematic debut in Dawn of Justice alongside other traditional members of the Justice League. 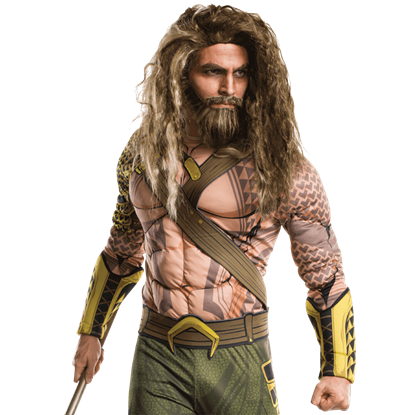 The Adult Deluxe Dawn of Justice Aquaman Costume is inspired by his new wild ocean warrior look. 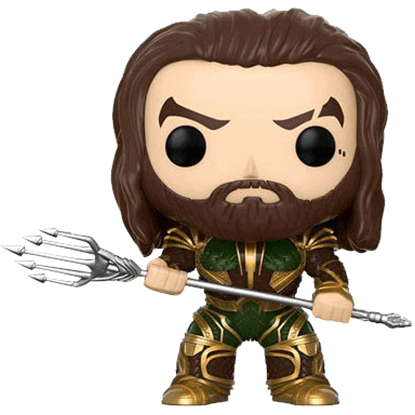 Tridents have long been the weapon of choice for many an ocean dweller, and DC superhero Aquaman is no exception. 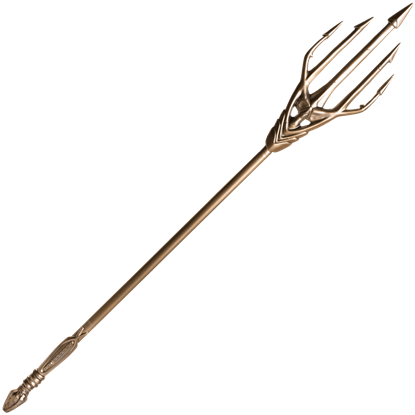 The Dawn of Justice Aquaman Costume Trident is based on the one he is seen with in the Batman v Superman movie. 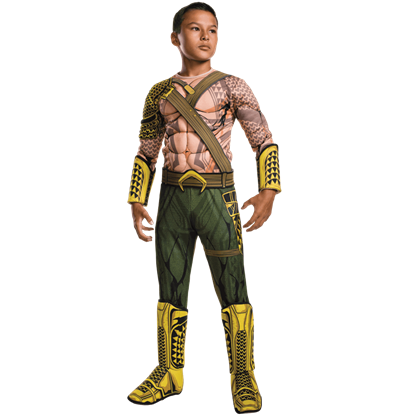 Portrayed in the Justice League movie by Hawaiian actor Jason Momoa, Aquaman is the king of the underwater city of Atlantis. 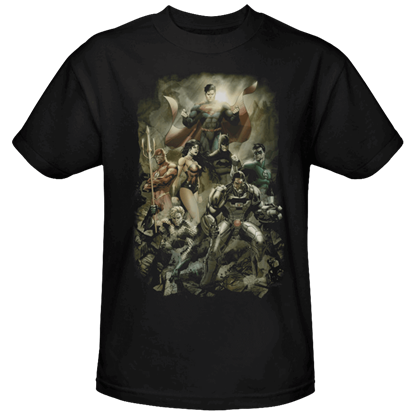 The Justice League Aquaman Uniform T-Shirt is printed with the image of his armour from the movie. 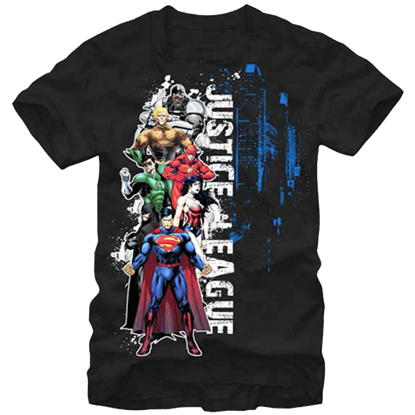 Famed superhero of the sea, Aquaman appeared briefly in Batman v Superman, sporting a rebooted look. 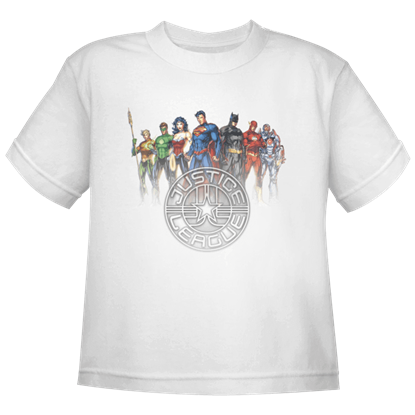 Now your child can dress as this traditional member of the Justice League with the officially licensed Kids Aquaman Costume. 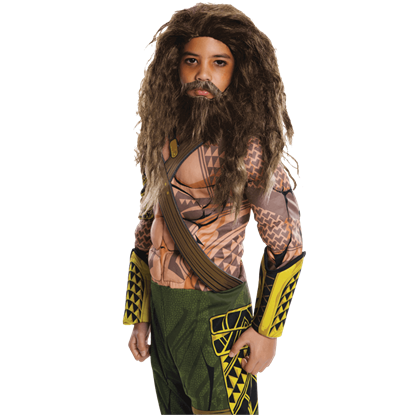 Your child may not be able to grow his own beard, but that is no reason for him not to dress as the heroic Aquaman. 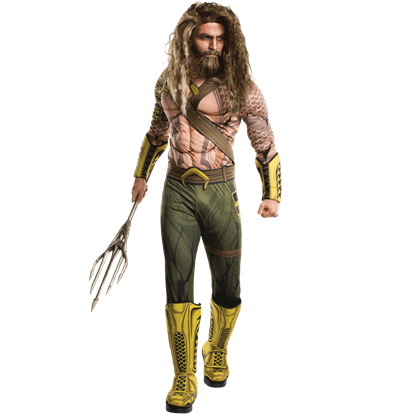 The Kids Dawn of Justice Aquaman Beard and Wig Set is the perfect choice for attaining the ocean kings wild new look. 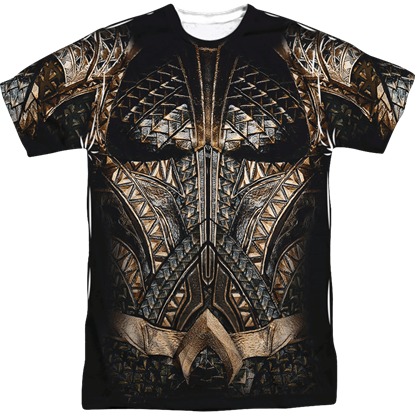 Aquaman made his silver screen debut in Batman v Superman Dawn of Justice, showcasing a revamped style with a bit of edge. 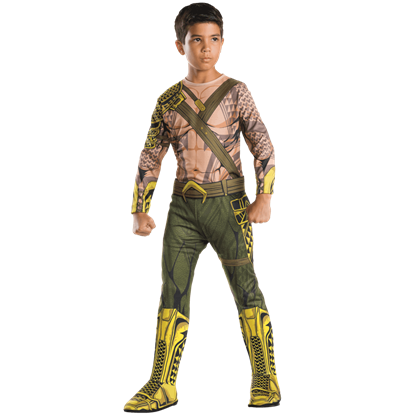 Now your child can get the look of this ocean-based superhero with the Kids Deluxe Aquaman Costume.